Cardinal Newman research papers report that Newman’s ascendancy to the College of Cardinals in the Roman Catholic Church was the last important step of his life. He had accomplished much as a member of the Oxford Movement, which ended when he converted to Catholicism in 1845. Newman was not entirely responsible for the end of the movement; it had been slowly falling apart before his conversion. 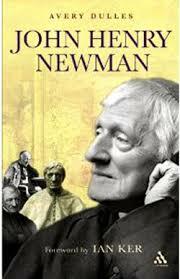 And, though Newman was not trying to sow seeds of discontent, becoming a Catholic and subsequently a priest did just that, thanks to his great intellectual influence. Many people who had closely followed the tracts of the Oxford Movement also became Catholics. This tore apart some families and caused a great deal of friction in others. In the case of the Wilberforce family – an influential English family – two brothers converted to Catholicism, while a third brother, Samuel, went on to become one of the most influential Anglican bishops of the 19th century. Cardinal John Henry Newman is unquestionably one of the strongest voices of the 19th century in theological circles. But his teachings and writings can be appreciated by anyone, Catholic or not. A Grammar of Assent, written in 1870, is one of his greatest works. The Dream of Gerontius is disturbing, but uniquely enlightening, in that it gives us hope if we believe and do good works. Pope Clement VII - One of the more important Popes. English Reformation - Thomas Cromwell stepped into the position of King Henry's religious adviser after the ousting of Cardinal Wosley. Thirty Years' War - Sweden was, ironically, supported by Catholic France, as Cardinal Richelieu saw the alliance as weakening the Hapsburgs. Christianity - Christianity research papers overview the religion. Religious Place of Worship - Religious Place of Worship Research Papers discuss a personal experience of a Roman Catholic Church, with details of the building and sermons. Church of England - Church of England papers look into the church created by King Henry VIII and the Catholic Restoration. Celibacy and the Catholic Church - Catholic priests did not always practice celibacy. English Renaissance - Among other things, the Renaissance was shaped by a shift in religious dominance from Roman Catholicism to the Church of England. Celibacy and the Priesthood - The policy of the Catholic Church on Priests and marriage and sexuality. Celibacy officially became mandatory for all Roman Catholic clergy in 1139. Roman Catholic Church and the Reformation - The Counter-Reformation within the Roman Catholic Church research papers discuss a brief history of the Protestant reaction. Medieval Times - After the fall of Rome, the Catholic Church became the most powerful institution across the European nations. Paper Masters writes custom research papers on Cardinal Newman and examine the essential figure for Catholicism in the Oxford Movement and the battle against Martin Luther.